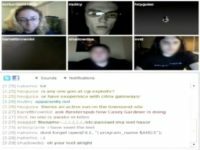 a5h3r4h and Hubris proceed with their talk to explain whether the Anonymous hacktivists are really anonymous when it even comes to simple open source research. 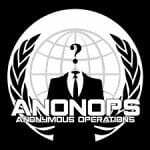 The Anons are findable, and not many of them are truly anonymous. a5h3r4h: Some of those people think “We’re Anonymous, so we’re going to be jackasses because nobody knows who we are”. And fortunately, not many of them are truly anonymous, and about the time we’re watching people in the IRC try to extort people at HBGary and say “Well, we won’t publish your private love letters if you give lots and lots of money to Bradley Manning1, donate the funds” – it’s extortion. We had some conversation about this and we say, you know, maybe going around on Facebook and looking at people talking to people on Facebook is not the best way to find them, but they’re findable, and maybe we can pick up where he left off, because we’re not afraid of consequences, because we’ve already tangled with these idiots. And we thought also it would be a good demonstration of why, you know, getting on the Internet and yelling about your right to privacy, and all the people that try to take your privacy away is a little hypocritical when you leave everything hanging out all over the Internet. We don’t have special equipment, we don’t use paid accounts or any of the tools that they traditionally use – no. Google, a few other database tools that are open to the public, and there’s quite a few things that you tend to notice in this group, and that is they use handles everywhere. Somebody is using a handle on AnonOps2 to talk about DDoS, they’re using the identical handle on Yelp to talk about the local Chinese restaurant that they check in at every week. They’re using it on Facebook where they’re also friends with their sisters, their brothers, their mother, their cousins and all the people in their local activist group. Hubris: Oh, you should talk about the Tinychat they go into. 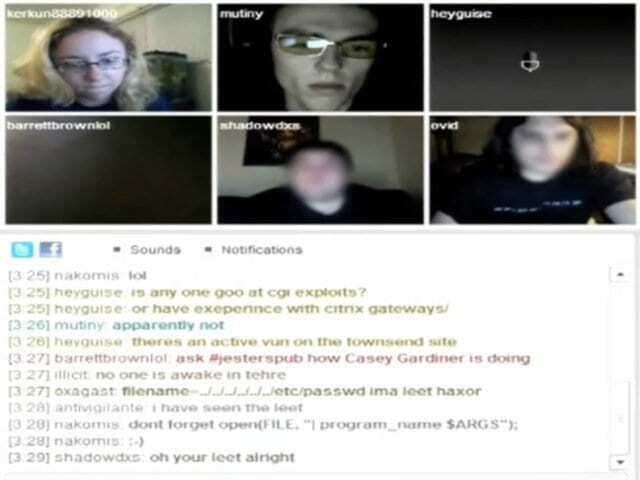 a5h3r4h: Yeah, if you wanna be anonymous, don’t get on an open Tinychat using your anonymous handle, especially when 4 different law enforcement agencies are looking for you. The issue of duplicate handles is largely mythological, there’s not been a lot of duplication of handles, there’s been some. People talk about their location, people talk about what they have for dinner, they tell you what time it is where they are – we’re not going into IRC and looking for somebody to tell us what color their socks are. So Anons are like everyone else, they’re creatures of habit. People get attached to their identities, they get attached to their handles and use their handles everywhere they go – like I said, they’re using the handles in other social networking platforms where it makes it very easy to pinpoint who and where they are. Facebook accounts, YouTube accounts, Reddit accounts, Yelp accounts even – you know, review the local Chinese restaurant using your anonymous handle saying “I’m in Chicago, I like hot dogs”. One of the things we’re not interested in is tracking down every single anonymous poster and finding them all. We’re not even really interested in doxing Anonymous in general, that was never the point. It’s not the point. We have lots of conversations with lots of people on the IRC, we won’t get into specifics who we talk to. Lots and lots of people are perfectly willing to open up and give information to a complete stranger. This is why we’re doing it, this is why I’m doing it, this is where I used to hang out, these guys are my friends and so on and so forth. 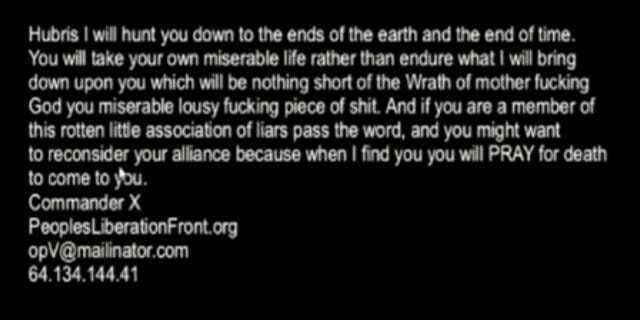 We were doing this despite the death threats, physical threats (see image) and whatever you can imagine, and the reason that we’re standing here today is because of the mob behavior, because if they don’t like what they’re hearing, they throw a fit and they come after you. You know, you’re gonna get harassed, you’re gonna get pictures of your children put on the Internet. This guy Gregg was part of the little mob that published pictures of my children on the Internet, that threatened to kidnap children from parents. Then he came to me personally and apologized and said “I was full of crap when they asked me to have you swatted”. The Anonymous like the information to be free, but not when it’s their information. The thing is the Anonymous like the information to be free, but not when it’s their information. They want the privacy to harass other people, but they don’t want the spotlight to swing the other way. We were very upfront that we’ve been working with law enforcement – always very-very upfront. 1 – Bradley Edward Manning (born December 17, 1987) is a United States Army soldier who was arrested in May 2010 in Iraq on suspicion of having passed classified material to the WikiLeaks website.